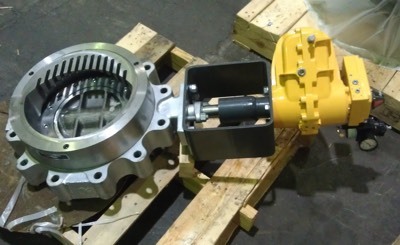 A Kinetrol USA Midwest Distributor designed and provided this valve and actuator assembly for an iron ore mining facility. The actuator sits on top of a characterized control butterfly valve, and has a very high cycle rate (400 cycles per day). The valve is used on the main water intake of their water treatment plant.